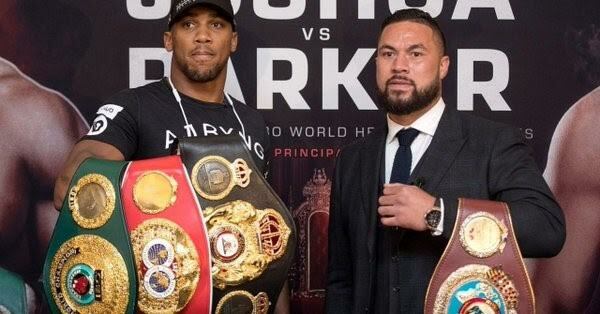 WBO heavyweight champion Joseph Parker 24-0 (18) insists he hasn’t decided on the game plan he will take into his fight against WBA, IBF and IBO heavyweight champion Anthony Joshua when the two meet in centre ring at Principality Stadium in Cardiff, Wales on Saturday night. In an interview with Sky Sports, the 26-year-old New Zealander said he couldn’t be happier with how his preparation for the fight has gone and is looking forward to showing the world what he can do in the ring. “It’s great to be here, we’ve had a great build-up and a great camp,” said Parker. “I can’t wait to put on a great display on March 31. Parker will have his work cut out for him. The 28-year-old Joshua hasn’t shown a lot of deficiencies in his game and Parker acknowledges that he is going to have a different type of boxer in front of him than he has faced in the previous 24 bouts in his pro career. The 6-foot-4 Parker, who grew up in South Auckland, insists that the timing of the bout couldn’t be better. The proud Kiwi-Samoan knows what victory will mean for all the people he represents. “It’s my time, I’m young, sharp and am determined to win. I’m here to be part of history, doing it for my team, family and country,” he said. Perhaps surprisingly, Parker indicated he hasn’t settled on a game plan for the fight yet.